After much effort over the years, the Honors students finally have a place of their own to meet and study. 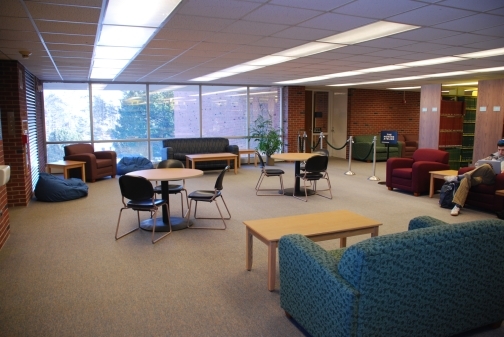 The library has set aside a space on the second floor of the LRC. 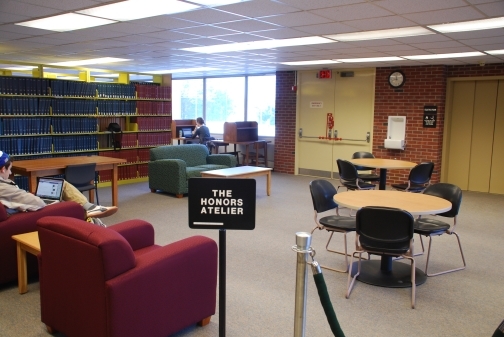 The Honors student organization named the space the Honors ‘atelier’, and provided input on the furniture and layout.